Happy Dia de los Muertos! Because why not? Hey my people, here in L.A., it's not just Halloween we're all getting ready for. No, in this territory that once was Mexico, we're all about the Day of the Dead. This isn't maudlin and it isn't weird. It's Halloween with the mystery left in. It's a time to remember all the ones we love, and by remember, I mean party. 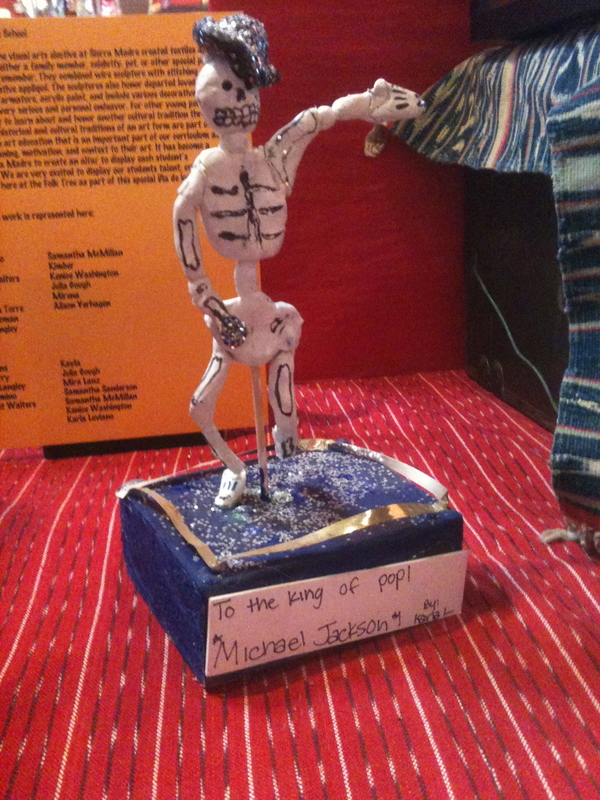 The Dia de los Muertos tradition centers on the creation of figurines that can be scary or endearing, like this esquelato (skeleton) made by kids at a local elementary school in tribute to Michael Jackson. In a blog about life beyond cancer, why am I bringing up such a dicey thing as, you know, death? Because it's good to remember that whenever death comes, it might very well be a party. Why not?